Dutch Masters from the Hermitage is a major retrospective exhibition at the Hermitage Amsterdam displaying work by the Dutch Masters of the 17th century which form part of the collection of the Hermitage in St Petersburg. 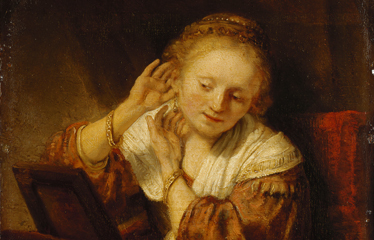 Alongside work by Rembrandt, pieces by other Dutch masters from the Golden Age will be exhibited including Abraham Bloemaert, Frans Hals, Jacob van Ruisdael, Jan Steen and Joachim Wtewael. Many of these works have not been seen outside St. Petersburg before: this exhibition allows them to be seen in their country of origin for the first time. Ammodo is supporting Dutch Masters from the Hermitage so that this special retrospective can be achieved in the Netherlands.